Tensile strength testing machine is an intelligent testing machine that combined with the electronic technology and mechanical transmission.it has accurate load speed, range of force measurement, high accuracy and sensitivity for the load, displacement measurement and control, it also can be tested the constant-velocity loading, constant- velocity displacement. 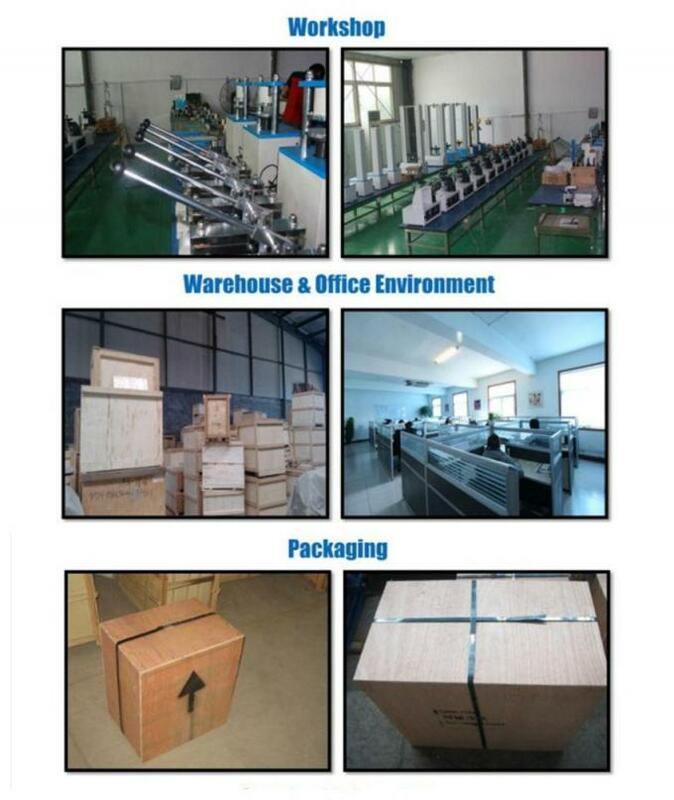 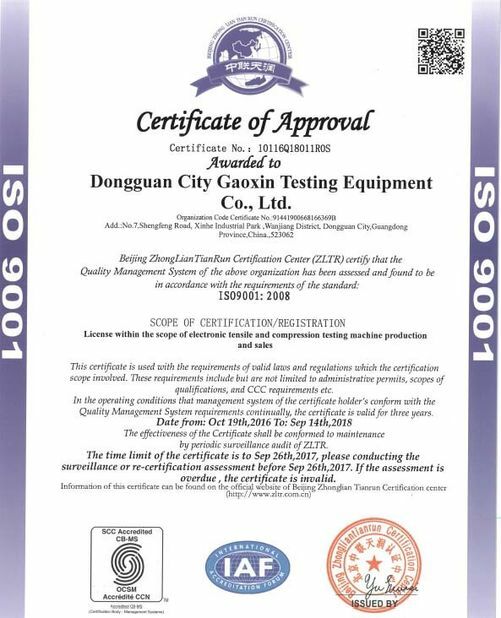 This machine is simple to operate, especially suitable for controlling quality in production line, This machine is mainly applied to test the non-metallic and metallic materials which the load is less than 2ton. 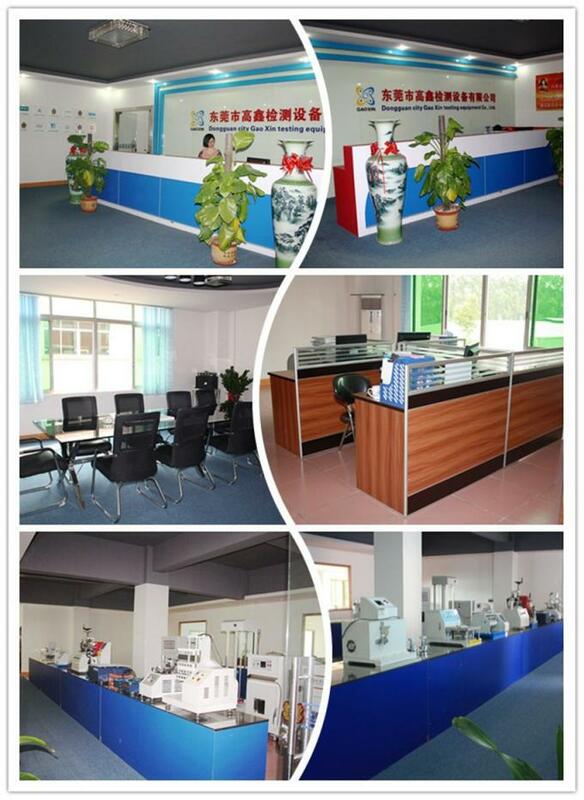 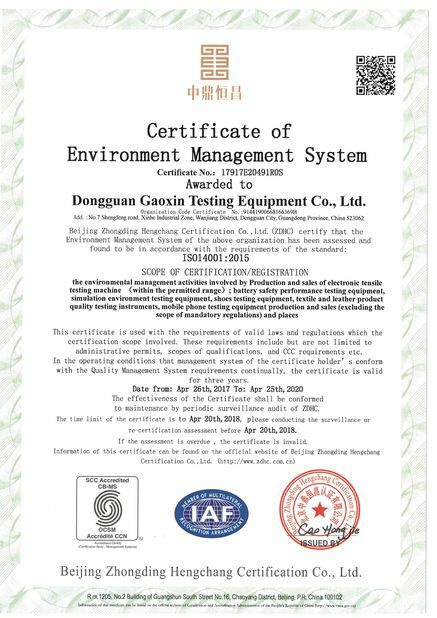 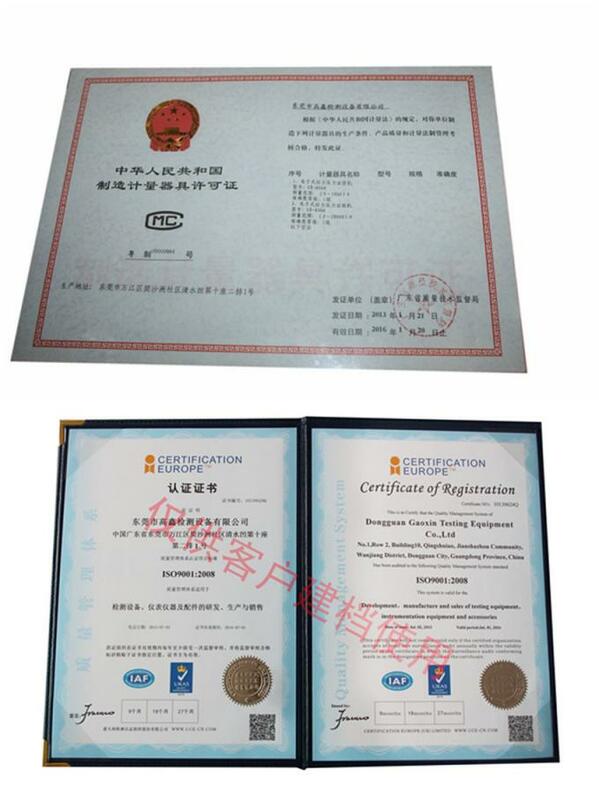 Tensile strength testing machine mainly applied to test the metallic and non-metallic materials in tension, compression, bending, shear, peel, tear or two-points extensions and others., such as rubber, plastic, wire and cable, optical fiber and cable, safe belt, leather belt composite materials, plastic profiles, waterproof membrane, steel, copper,profiles, spring steel, bearing steel,stainless steel (as well as other high-hardness steel), castings, plate, strip, non-ferrous metal wire. 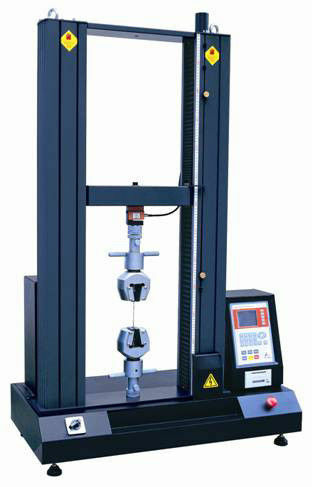 Tensile strength testing machine widely used in controlling the quality; Rubber & Plastics; metallurgical iron and steel; manufacturing machinery; electronic equipment; automobile production; textile fiber; wire and cable; packaging materials and foodstuffs; instrumentation; medical equipment; civilian nuclear energy; civil aviation; colleges and universities; research Laboratory; inspection arbitration, technical supervision departments; building materials, ceramic; petroleum & chemical; other industries. 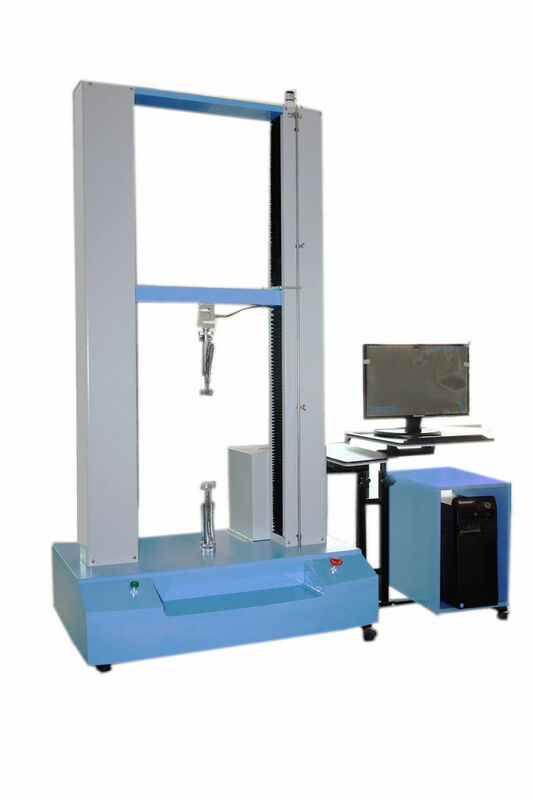 Tensile strength testing machine adopted photoelectric encoder to measure the displacement, the controller uses the embedded single-chip microcomputer structure with multi-function software, which combined with measurement, control, circulation and storage. 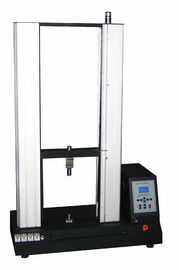 It can automatic calculate the stress, rate of elongation (need to add with extensometers), tensile strength, elastic modulus, automated statistical results; automatically recorded the biggest point, breaking point, the designated point value or the rate of elongation; Using computer to display the dynamic curves in the testing process and process the data, After testing, it can re-analysis and editing the data by amplifying the curves through the graphics processing module, printing reports, product performance reached the international advanced level.